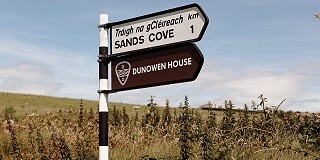 Dunowen House is now recognized as one of Ireland’s finest private holiday rental homes. When you stay at Dunowen, it’s like having your own boutique country house hotel entirely to yourselves. With six luxuriously appointed bedroom suites, a formal drawing room, dining room and large music and memorabilia room, Dunowen House makes the perfect venue for an escape with friends or extended family groups of up to 18 guests. If you require more space, why not include Orchard Cottage located in the walled garden beside Dunowen House. Tastefully renovated, with three bedrooms, the cottage sleeps up to 5. Orchard Cottage is also available to rent independently of Dunowen House. Our private catering services are very popular with guests staying. Why not book a dinner party if you feel like truly spoiling yourself during your stay?